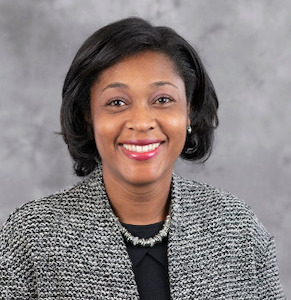 Winston-Salem State University associate professor Dr. Stephanie T. Dance-Barnes has been named the recipient of the 2019 UNC System Board of Governors Award for Excellence in Teaching. Dance-Barnes teaches courses on cell and molecular biology and also serves as co-chair of the school’s Department of Biological Sciences. The award will be presented by a Board of Governors member during the university’s spring 2019 commencement ceremony on May 10, where Dance-Barnes will receive a commemorative bronze medallion and a $12,500 cash prize. Shortly after she began working at Winston-Salem State in 2010, Dance-Barnes created Scientific Investigation of Diseases, a general education course modeled after the TV series “House M.D.,” according to a WSSU release. A year later, she developed the Women in Science Program (WISP) to offer tools and resources for women in science, technology, engineering and mathematics (STEM) majors. Dance-Barnes has also mentored several students in her cancer research lab, many of whom have been accepted into prestigious fellowship research programs such as the John Hopkins Summer Internship Fellowship, the University of Miami Summer Research Alliance Early Identification Program and the Wake Forest University Excellence in Cardiovascular Science Program. Dance-Barnes received a bachelor’s degree in biology from Elizabeth City State University, a master’s degree in biology from North Carolina A&T University and a Ph.D. from Wake Forest University School of Medicine.